Which is more important, the lives of workers or a train? 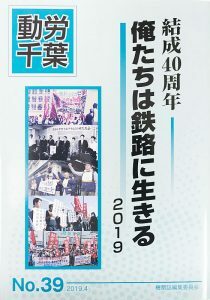 On March 25, the rail workers of Doro-Mito, sister union of Doro-Chiba, waged strike at Katsuta Car Center (an inspection & repair work) against JR East Company’s attempt to operate K544, the very radioactive train that had been blocked from inspection and repair work by the union’s persistent strikes, job actions and organizing efforts (see our Report ##34, 41 and 45). In October 2011, JR East Company brought in Katsuta Car Center K544, which had been left standing for half a year since March 11 for half a year at Hirono Station adjacent to the 20km Zone of Fukushima Daiichi. But inspection and repair of the radioactive train was crushed by the strikes of Doro-Mito and the protests of the community. The train was thus abandoned until recently. On March 14 the JR East Company sud­denly notified Doro-Mito the start of inspec­tion works to operate K544 as a usual passenger train. Soon after that, on March 18, it carried out forcibly a “radiation measurement,” and then on March 25, moved the train to the inspection yard. The workers of Mitsubishi, a manufacturer of rail cars, were brought in to replace the cooling system of main transformer, which registered a year before the high radiation of 0.9 μSv/h. Until two years ago, before the accident of the March 11, Japanese standard of radiation exposure rate was strictly kept to 1 mSv/y for ordinary citizens. 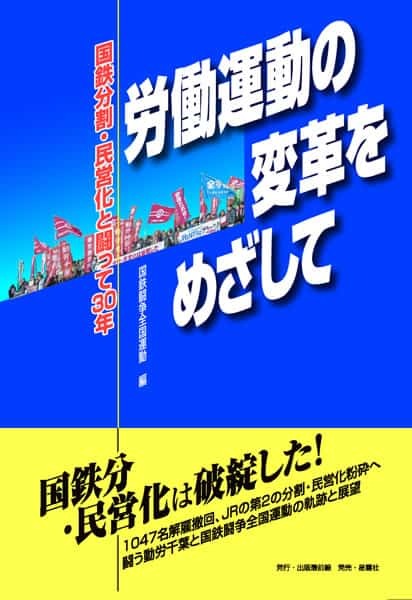 But the government quite arbitrarily decided to change the prescribed standard level of radiation: “Up to 100 mSv/y is acceptable for the workers of nuclear plants” or “20 mSv/y is all right for the children in Fukushima”. 20 mSv/y is equivalent to go through X-ray examination for 400 times! The damaged nuclear reactors of Fukushima Daiichi nuclear power plant are releasing radioactive elements into the air and water around the plant. Cesium 137 is an extremely dangerous radioactive material. Taken into the bodyCs-137 gets absorbed in muscle tissue and acts as an internal radiation source and causes various diseases including cancer. 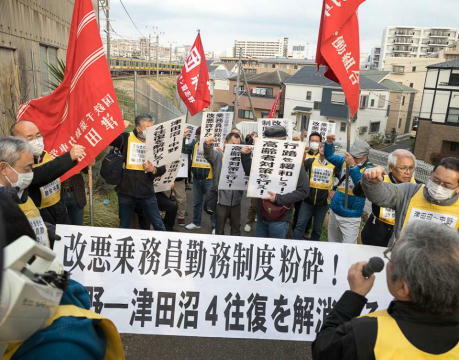 During the collective bargaining with Doro-Mito, the company admitted that the radioactive elements had been found in the train, but they say there is no problem because the air dose rate is under the government’s prescribed standard level of radiation. When the workers are forced to be engaged in inspection work in the contaminated train, they will surely inbreathe particles and dusts. A lot of radioactive elements inevitably get into their body. When the work is carried out indoors, the whole working place will be contaminated by scattered radioactive elements. The health damages from low dose internal exposure do not appear immediately but usually only after five to ten years. 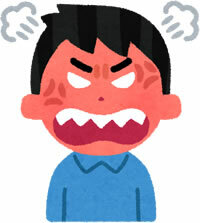 In the case of Fukushima unfortunately, several thyroid cancer are already found among children. 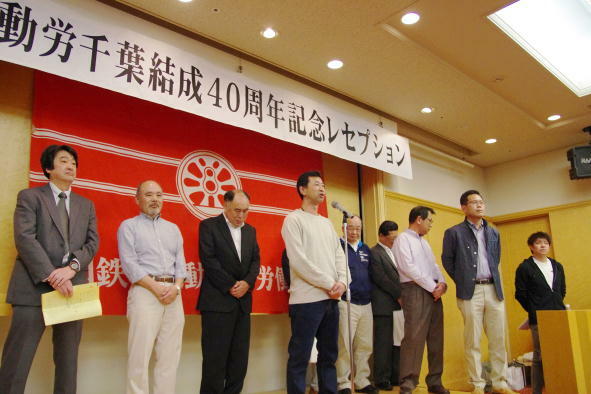 Thus Japanese workers and their families are now suffering from irreparable health damages. 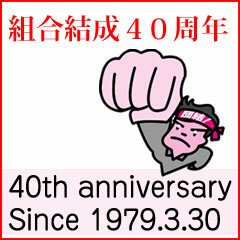 We must no longer tolerate such situation caused by the Japanese government and capitals. If we do not stand firm against the company’s irresponsible attitude toward lives and health of workers, every countermeasure against radiation will be nibbled away bit by bit. 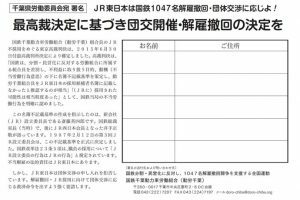 The government and the TEPCO (Tokyo Electric Power Company) refuse to take responsibility for the nuclear catastrophe, and the JR Company promotes a “radiation is safe” propaganda campaign in accordance with them. 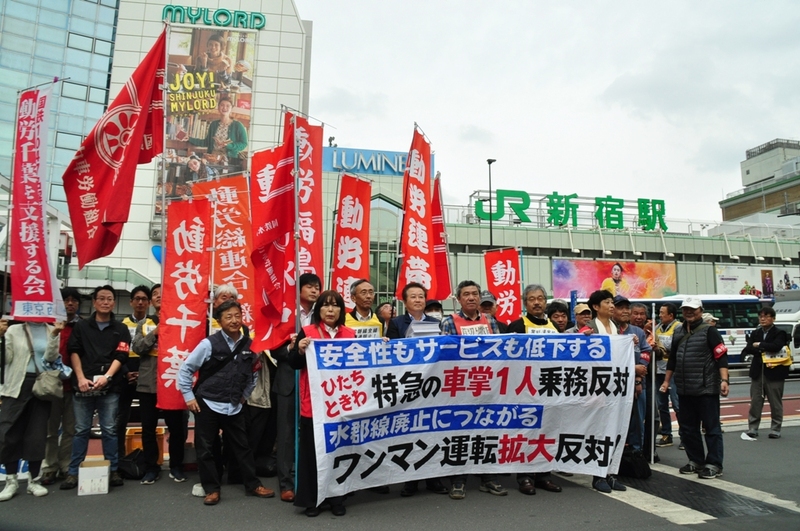 In order to save lives and protect safety of workers, Doro-Mito continues to fight against the JR Company who forces workers to be exposed to radiation. Despite the company’s very sudden move to operate “the hot train” and Doro-Mito’s strike with extremely short notice, younger workers in Katsuta Car Centers who belong to JR Soren, a yellow union, openly defied their bosses’ orders: train drivers refused to drive K544 from the garage to the inspection and repair yard and also yard traffic controllers did not go to the spot. This was a groundbreaking revolt of rank and file members of JR Soren not only against the management but also against their own union brass who had been notorious for their extremely violent and strict control of their members. 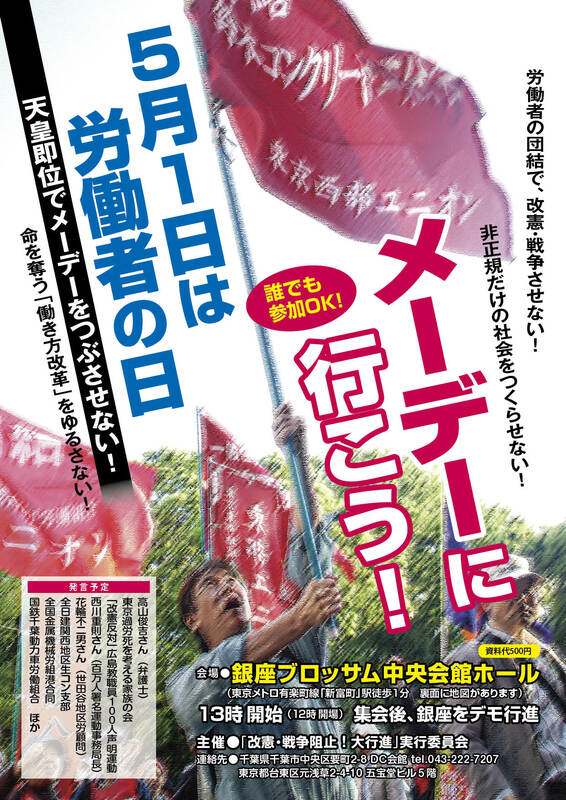 An avalanche of younger workers’ walkout from JR Soren and joining Doro-Mito is nearing. The power relationship in the work place is changing dramatically. Scared with this massive revolt, the JR Company was obliged to put K544 back deep inside of the train garage. Since then the hot train has been left untouched. Stop outsourcing! Abolish casual job system! 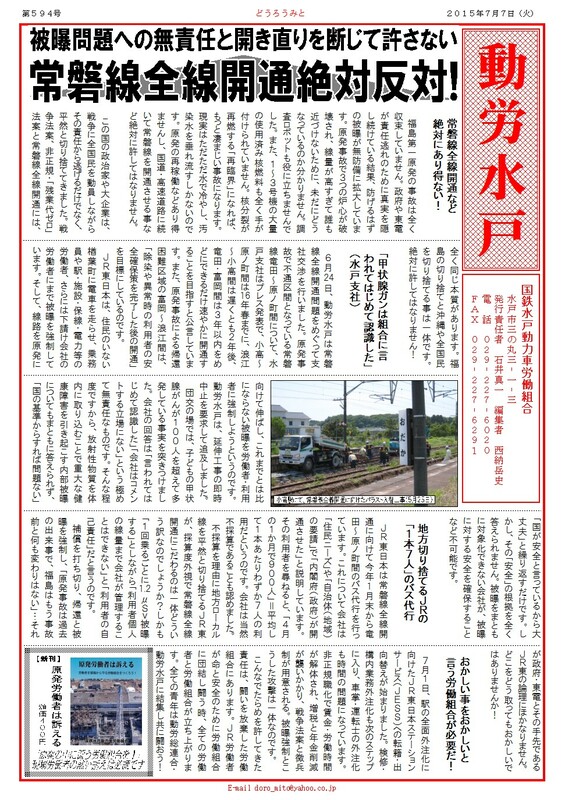 The JR East Company’s attitude of neglecting the health damages of radiation exposure in the issue of contaminated train has an irresponsible character in common with its current policy of outsourcing and forced transfer in that the company evades its responsibility for whatever happens as a result of its policy to the life of workers and the safety of all passengers. It’s really a crime! The management of Mito Train Service (MTS: a subcontractor of JR Company) says, “JR Company says no need to worry, so there is no problem”. And JR Company says, “We are OK as long as the government confirms us the security”. 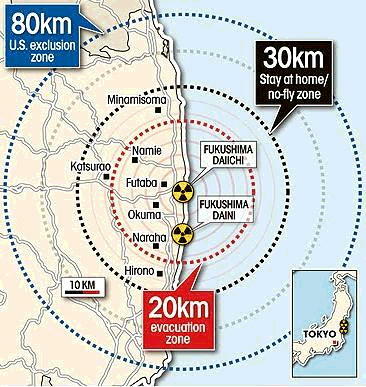 The government and the TEPCO who are responsible to the nuclear power plant catastrophe do not take any responsibility. Those who are hard hit are always workers. In the name of “Reconstruction”, the government and the company re-opened the railway track to Hirono Station, which is still highly contaminated by fallout from Fukushima Daiichi meltdowns, declaring that the nuclear accident was completely put under control. 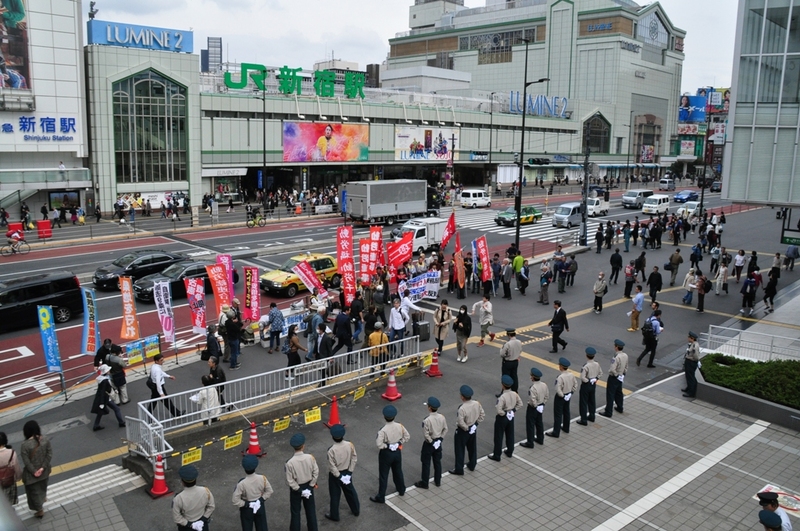 The issue is relating not only to the workers engaged in repair and inspection at Katsuta Car Center but also to the train crews, station workers and janitors. It also concerns to the inspection workers engaged in overall check of the whole train at Koriyama Comprehensive Car Center (located in the central part of Fukushima Prefecture). All workers should raise voices and stage strikes. This is the only way to affect the future of all workers. It is an urgent task of labor unions to save lives and protect safety of workers. Doro-Mito is determined to continue to fight uncompromisingly against the radiation exposure. Workers united in labor union can fight back and defend themselves! This will pave the way for workers to their bright future.